Jeffrey Matsuura’s practice focuses on domestic and international legal and regulatory issues associated with the development, distribution, and use of technology. His work has involved a range of technologies, with special emphasis on communications and computing, nanotechnology, artificial intelligence, aerospace, robotics, health and medical, and blockchain. He is a member of the Virginia Bar and the District of Columbia Bar, and earned degrees from Duke University, the Wharton School at the University of Pennsylvania, and the University of Virginia School of Law. Mr. Matsuura also provides strategic and operational advice regarding management of intellectual property rights. He assists clients to establish, implement, and maintain business strategies which maximize the commercial value and operational effectiveness of their intellectual property. Mr. Matsuura is a former Fulbright Fellow who has written and taught extensively on subjects associated with technology law and intellectual property rights. He previously served as assistant professor and Director of the Program in Law and Technology at the University of Dayton School of Law. He has also served on the visiting and adjunct faculties of numerous academic institutions in the United States and in other countries, including Ukraine, New Zealand, and China. 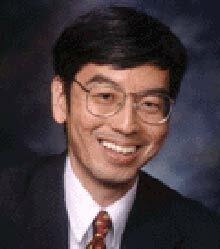 Mr. Matsuura is the author or co-author of several published books on law and technology topics, including: Law of the Internet (written with George Delta, published by Wolters Kluwer , Global Information Technology Law (written with Craig Blakeley , Thomson Reuters West), Digital Currency: An International Legal and Regulatory Compliance Guide (Bentham Science Publisher, A Manager’s Guide to the Law and Economics of Data Networks (Artech House), Security, Rights, and Liabilities in E-commerce (Artech House), Managing Intellectual Assets in the Digital Age (Artech House), Nanotechnology Regulation and Policy Worldwide (Artech House), and Jefferson vs. the Patent Trolls: A Populist Vision of Intellectual Property Rights (University of Virginia Press).